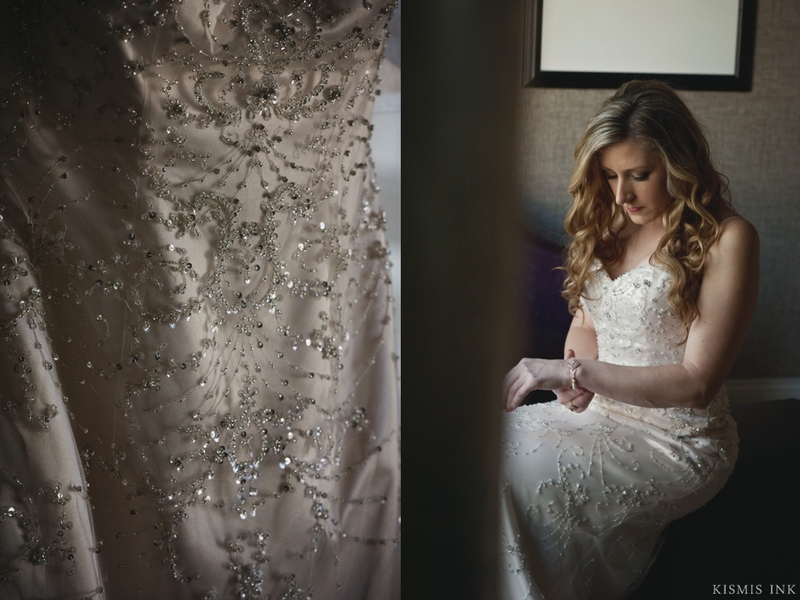 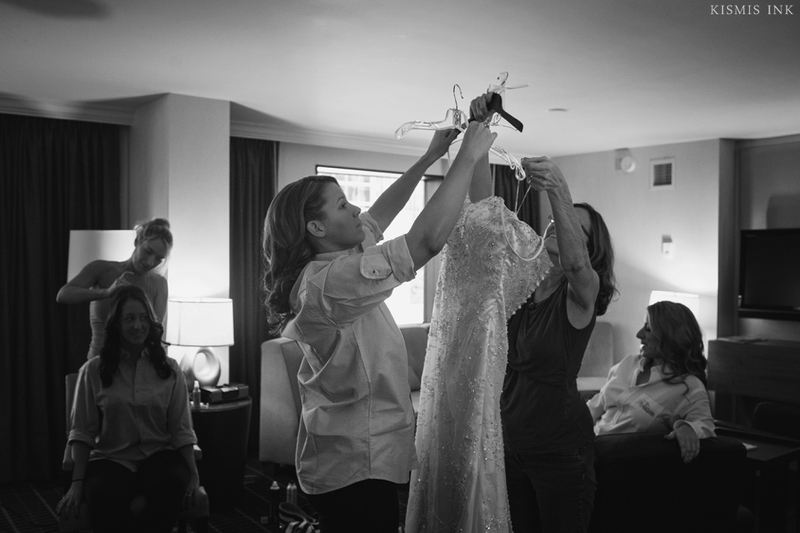 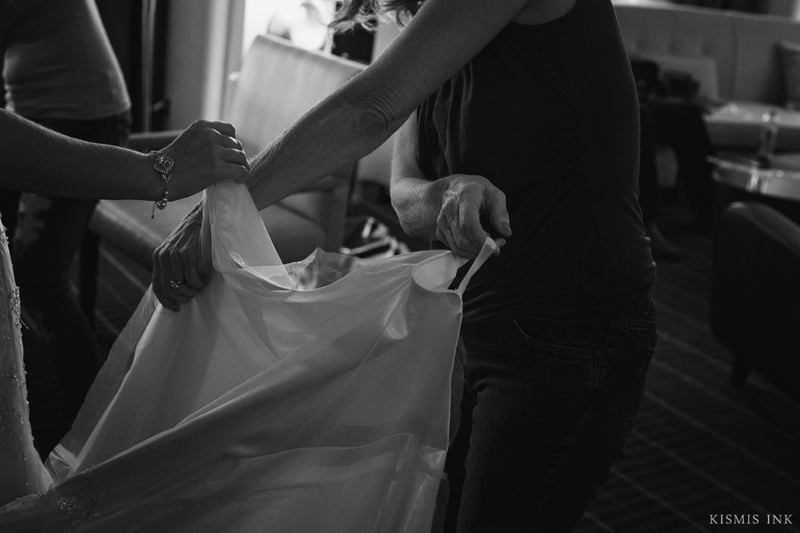 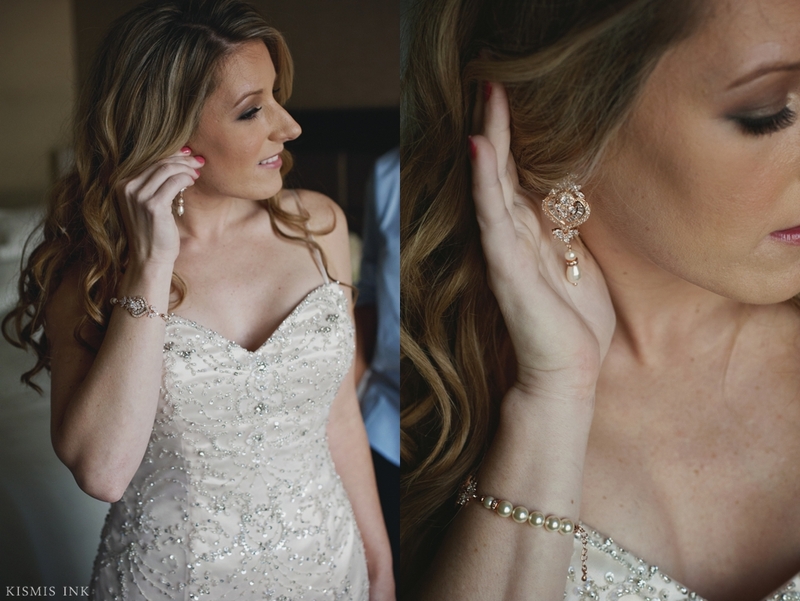 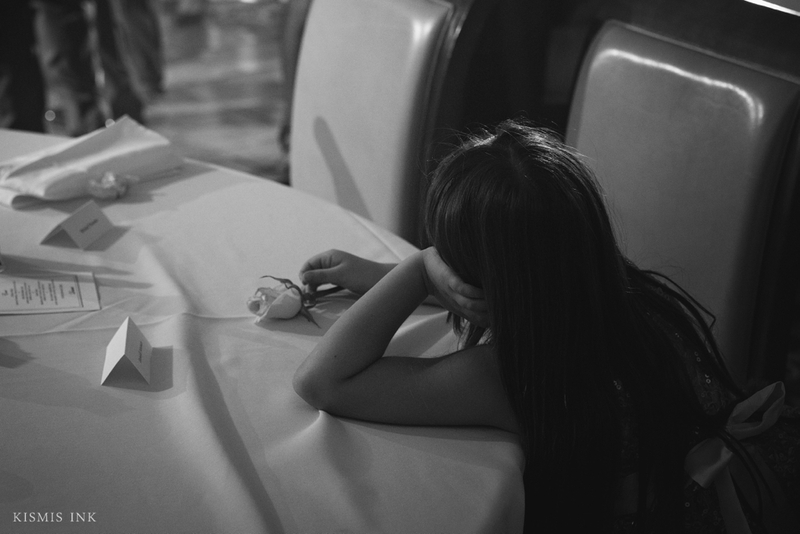 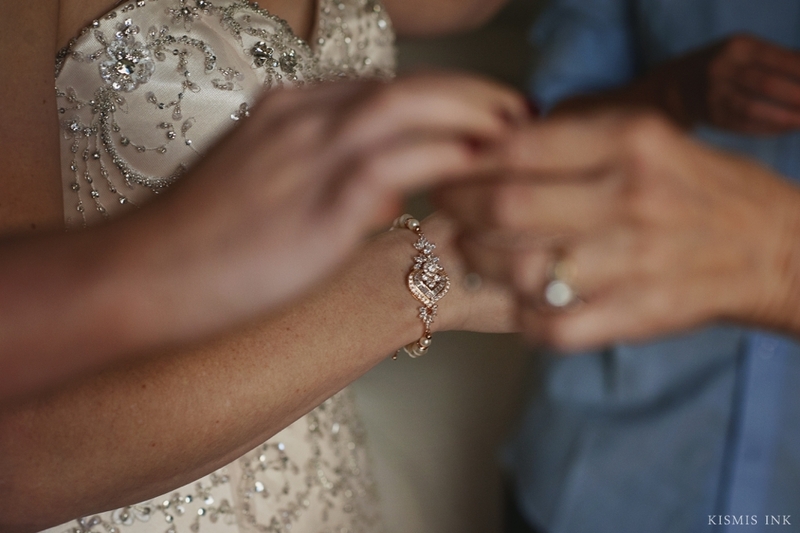 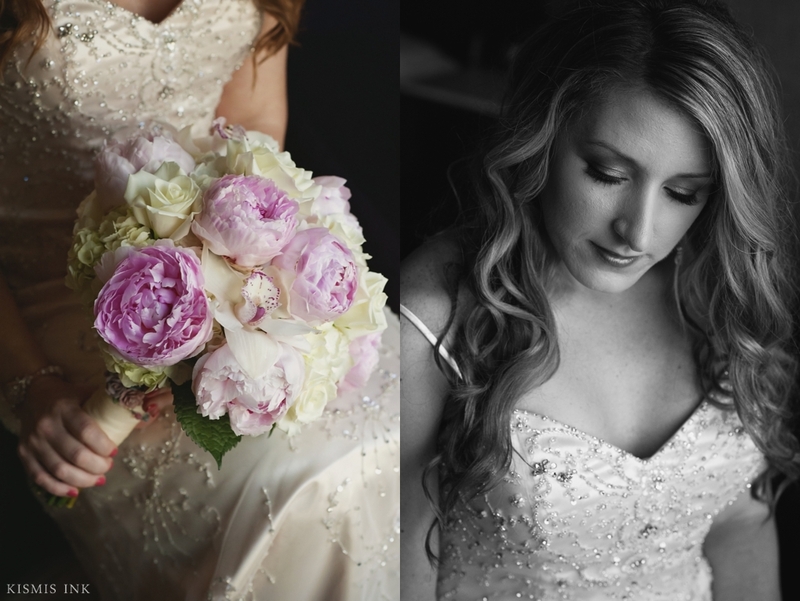 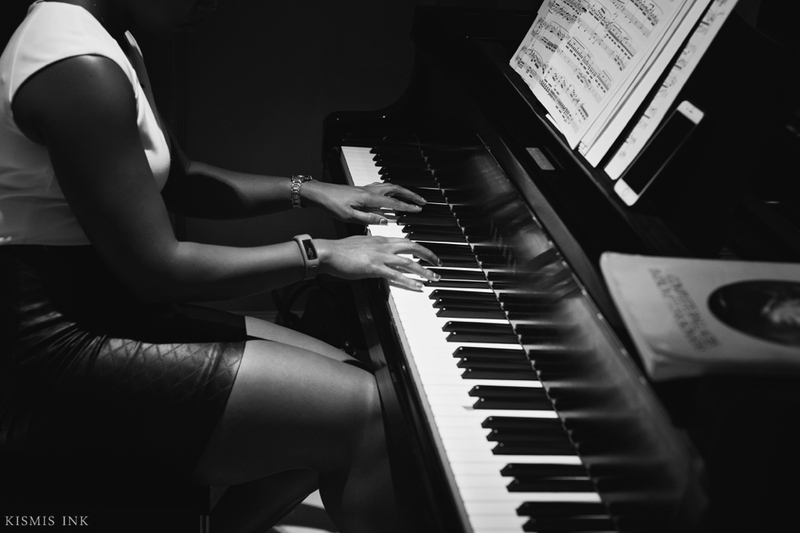 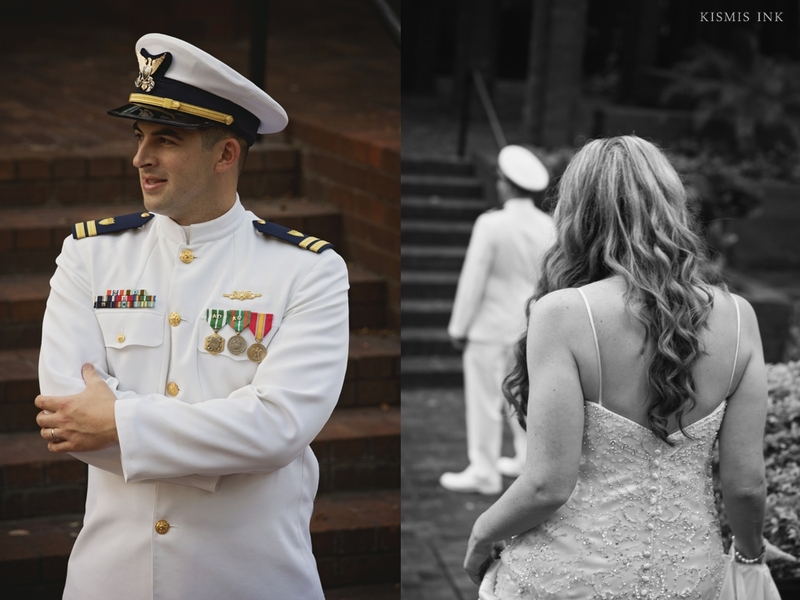 In 2013, we had the pleasure of documenting Rebekah and Danny’s wedding. 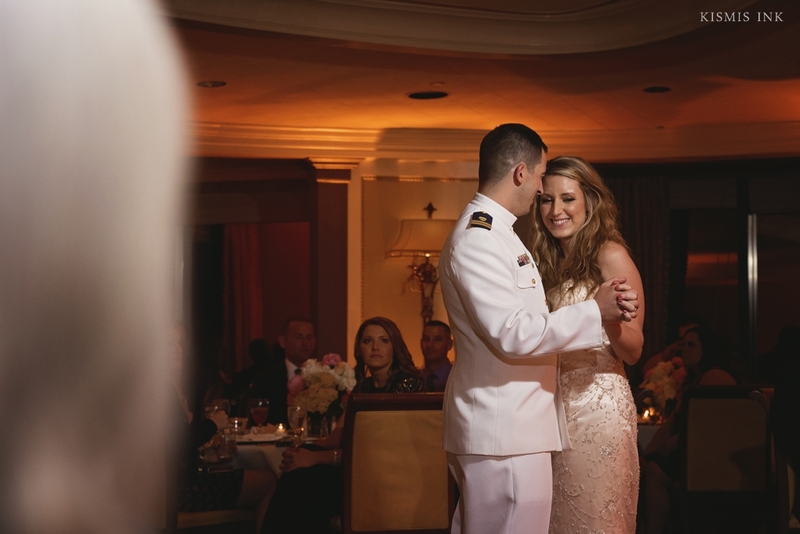 Khaled and I couldn’t have asked for a more warmhearted couple and family. 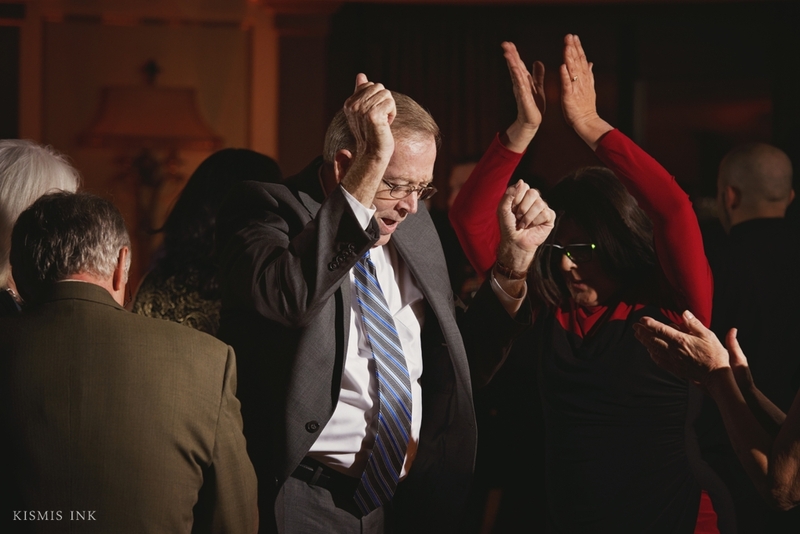 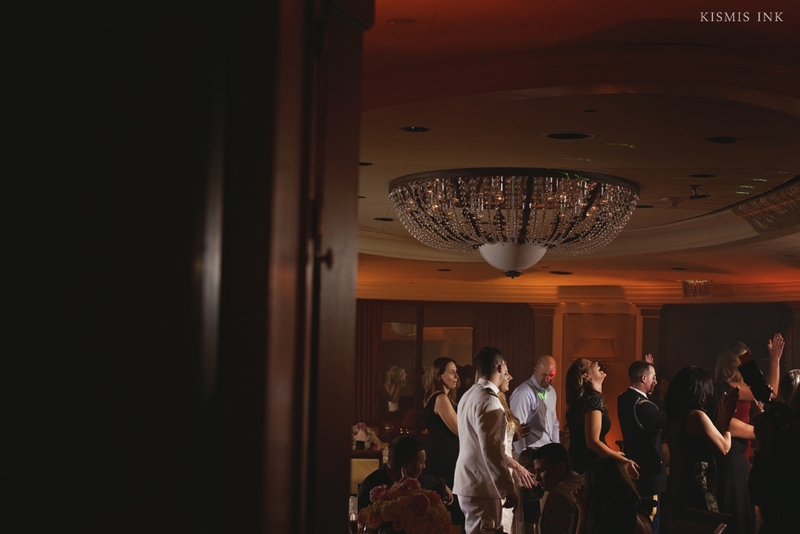 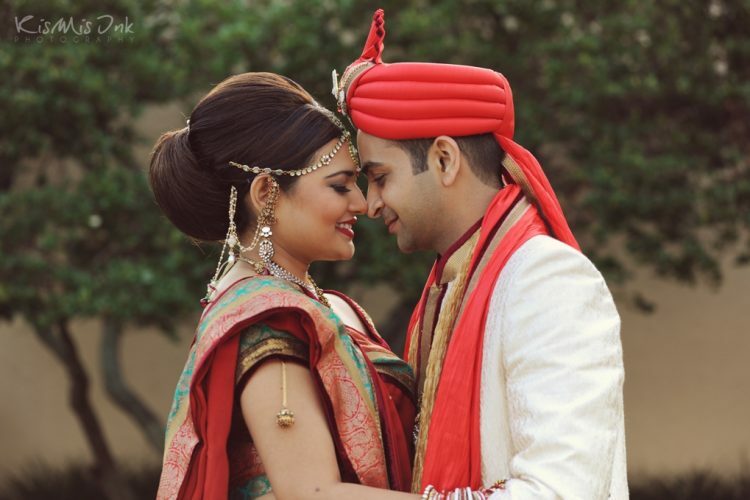 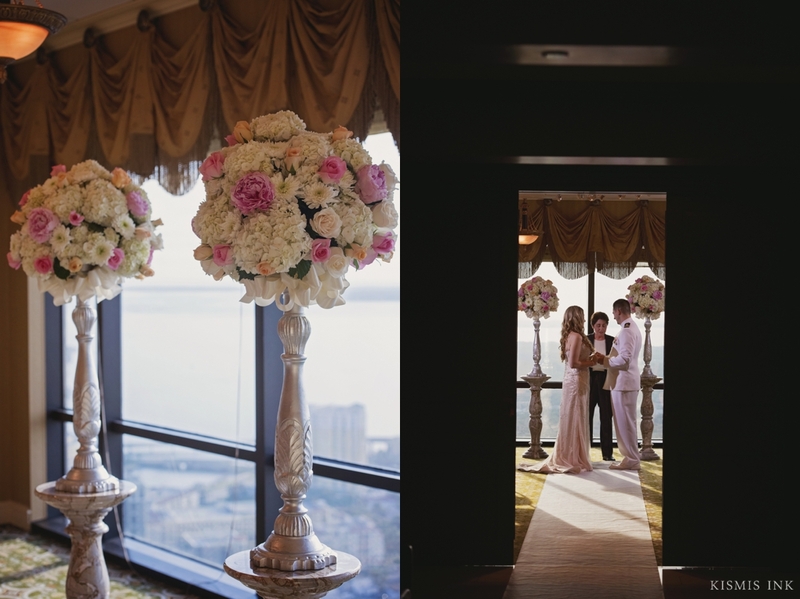 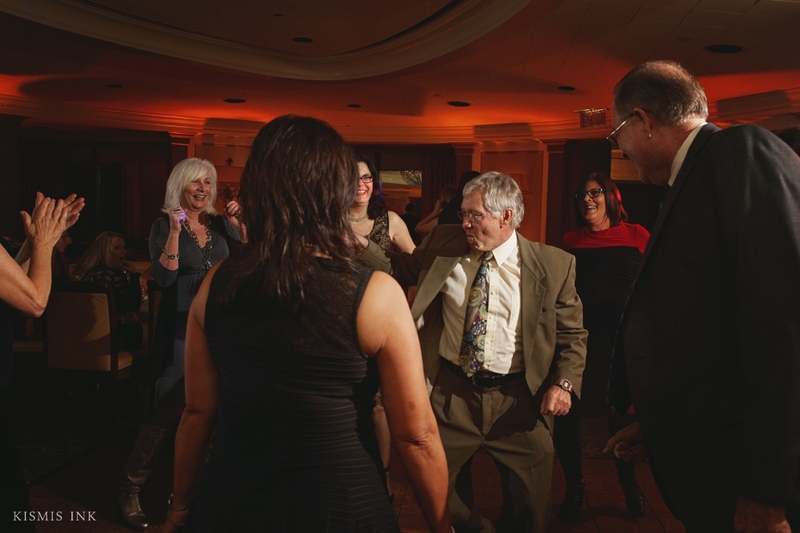 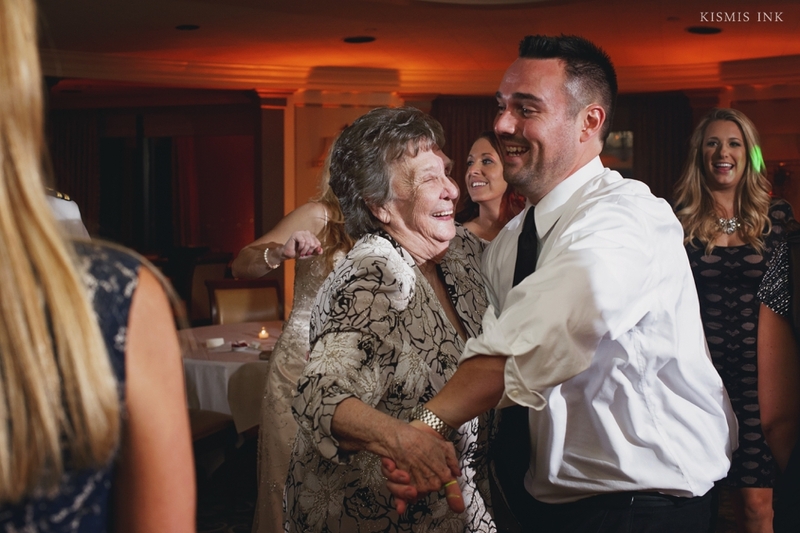 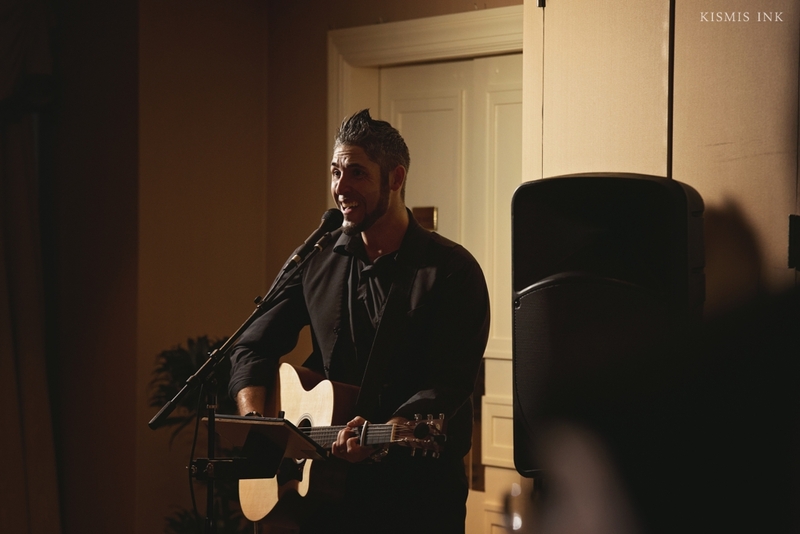 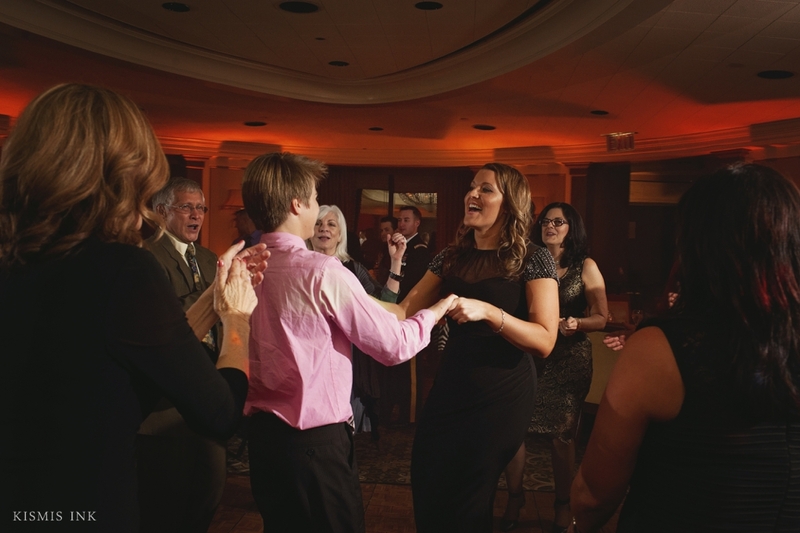 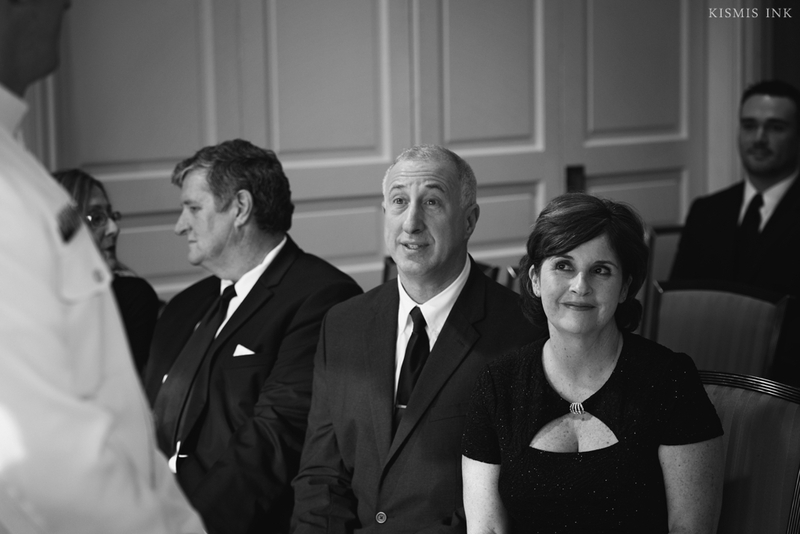 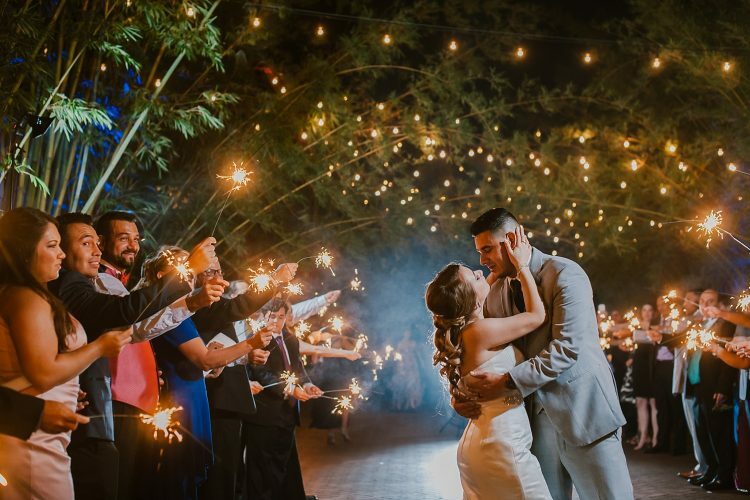 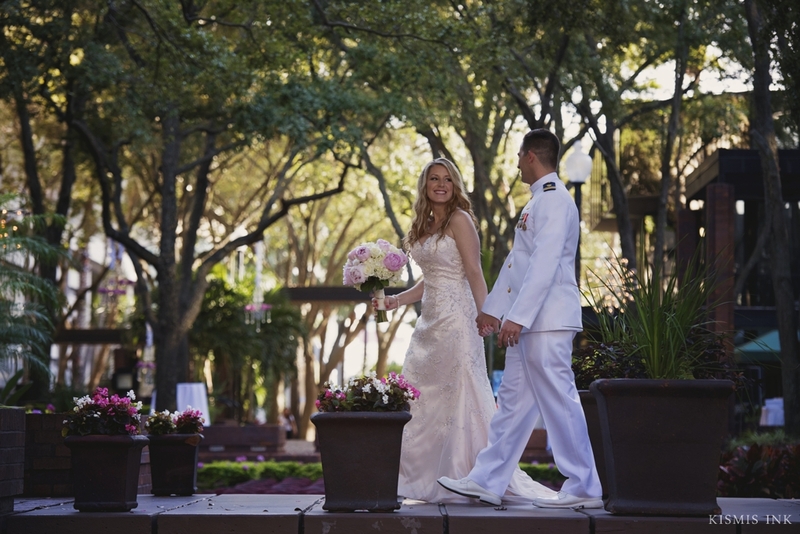 We felt welcomed and knew their wedding day would always hold a special place in our hearts. 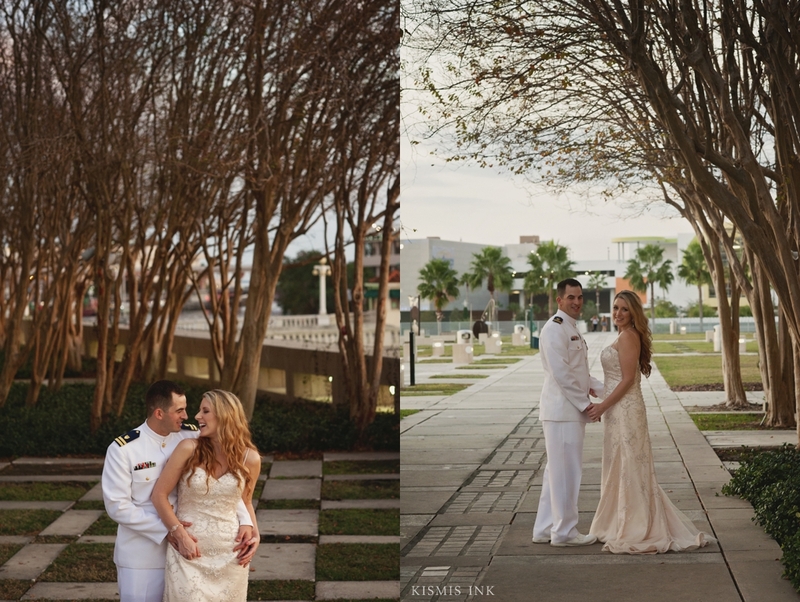 Fast forward a year later and I was overwhelmed with excitement after receiving a message from Bekah, detailing how her sister Allison had her heart set on Kismis Ink photographing her intimate reception at the Tampa Club. 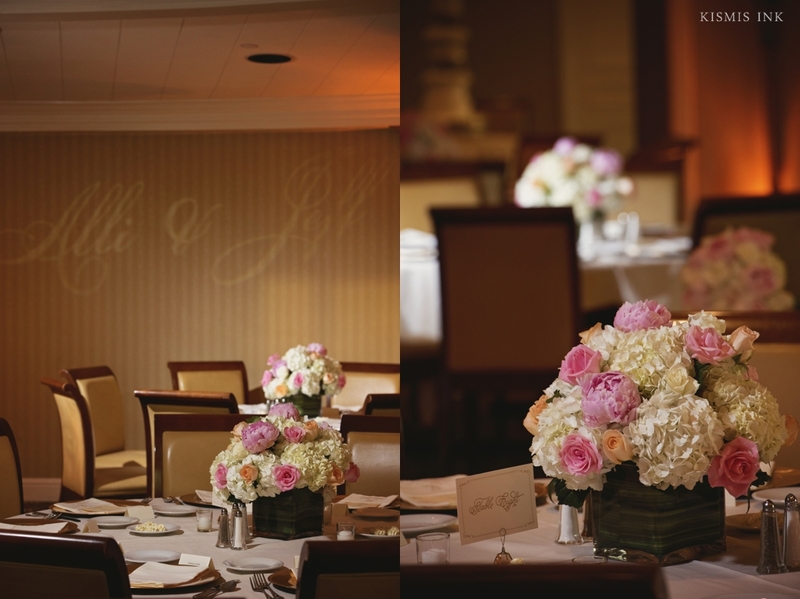 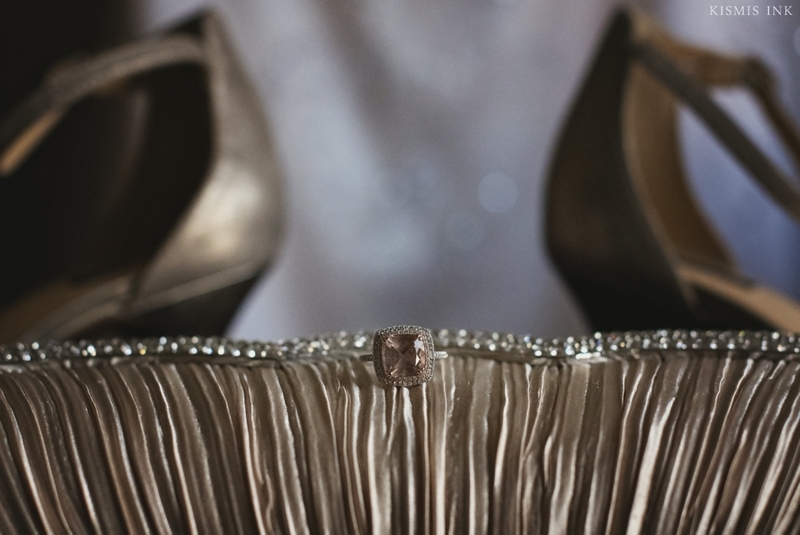 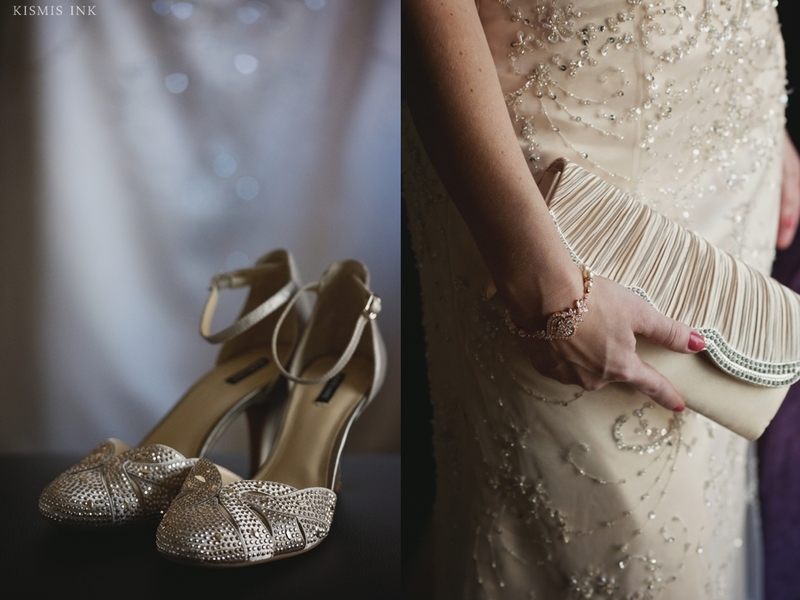 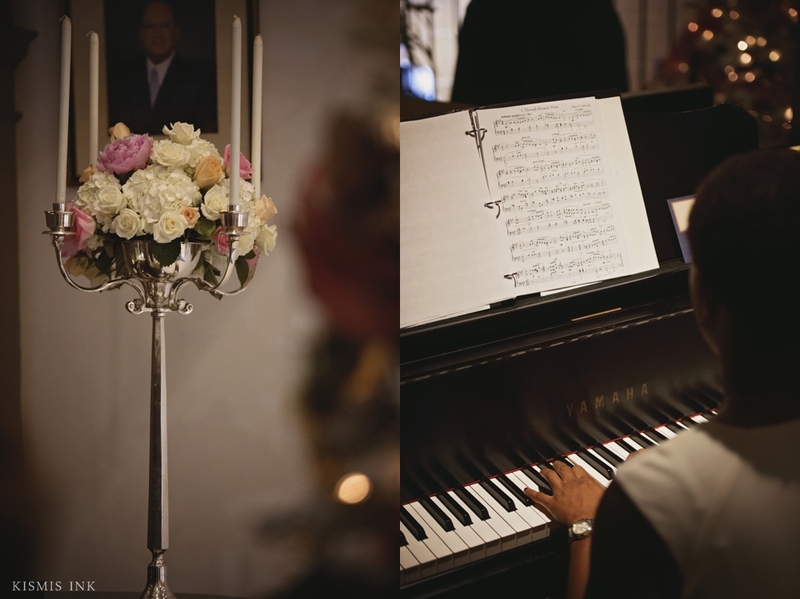 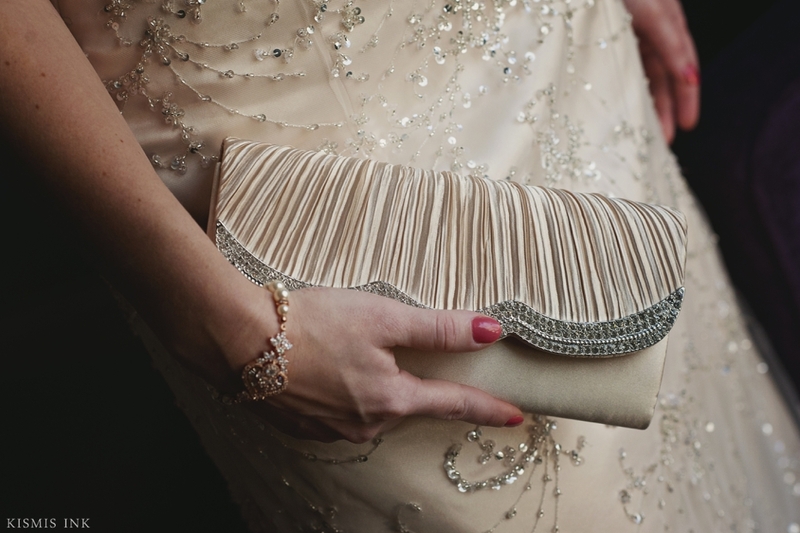 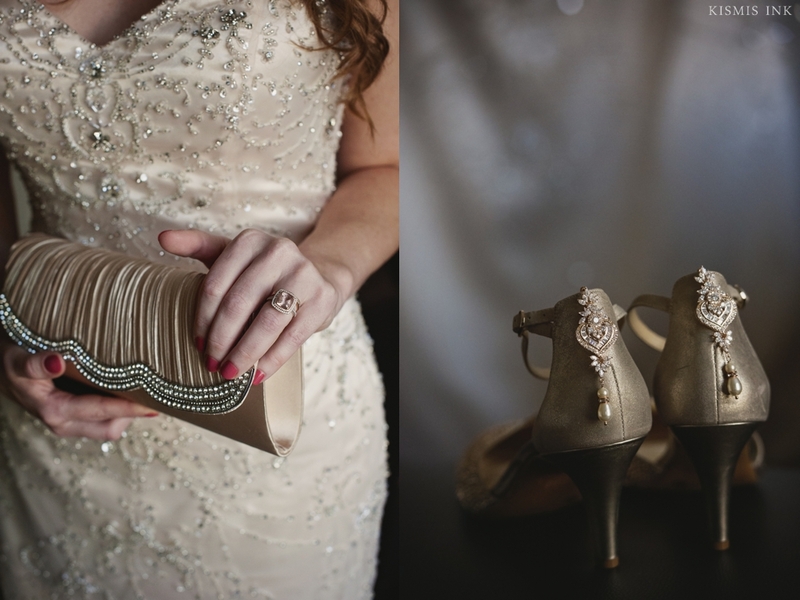 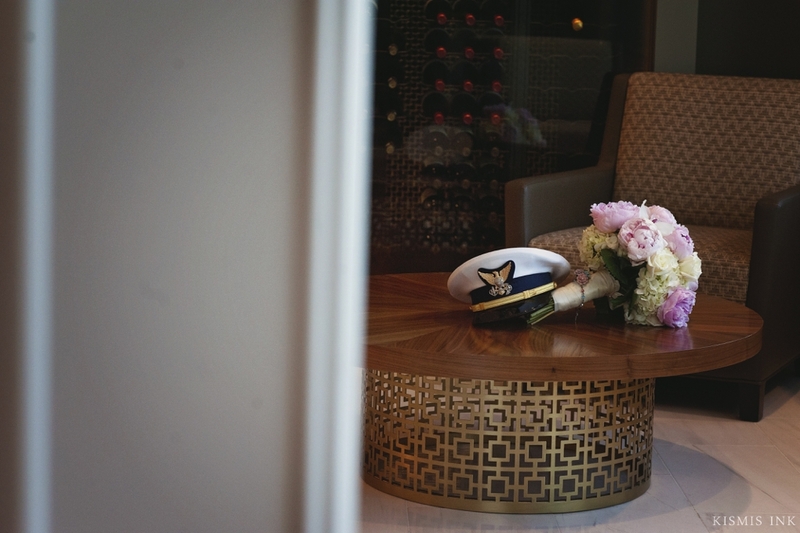 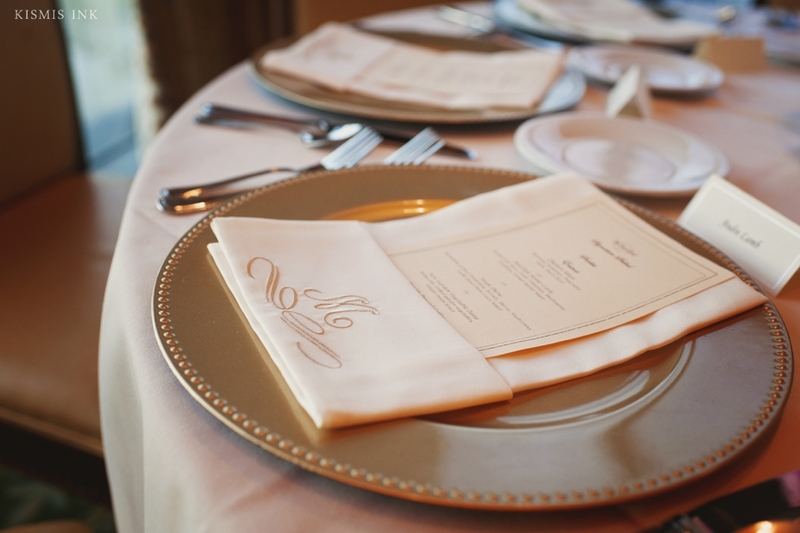 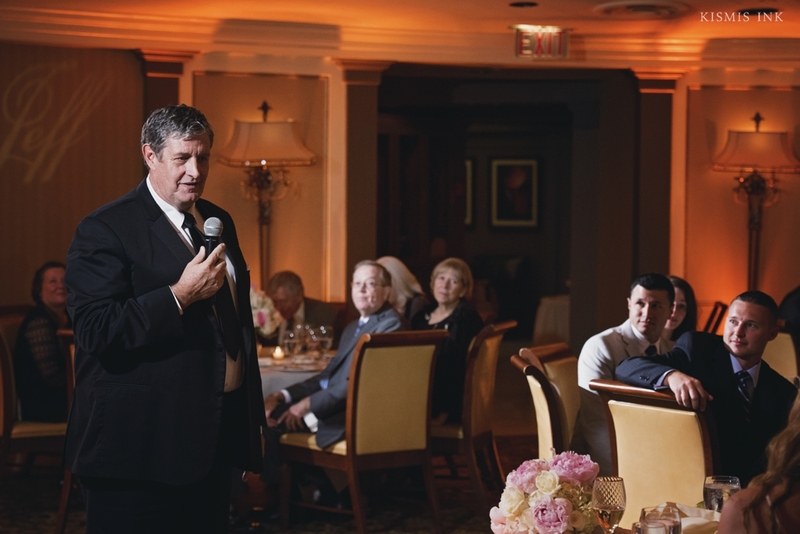 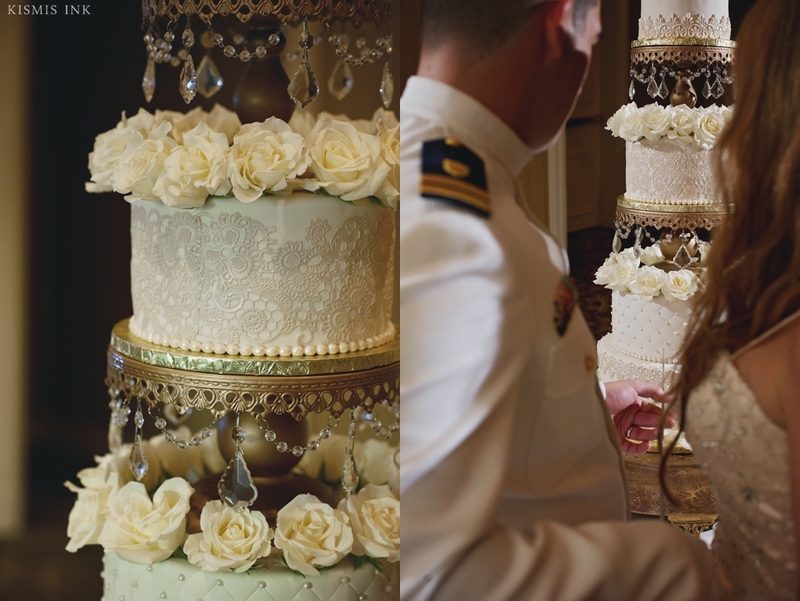 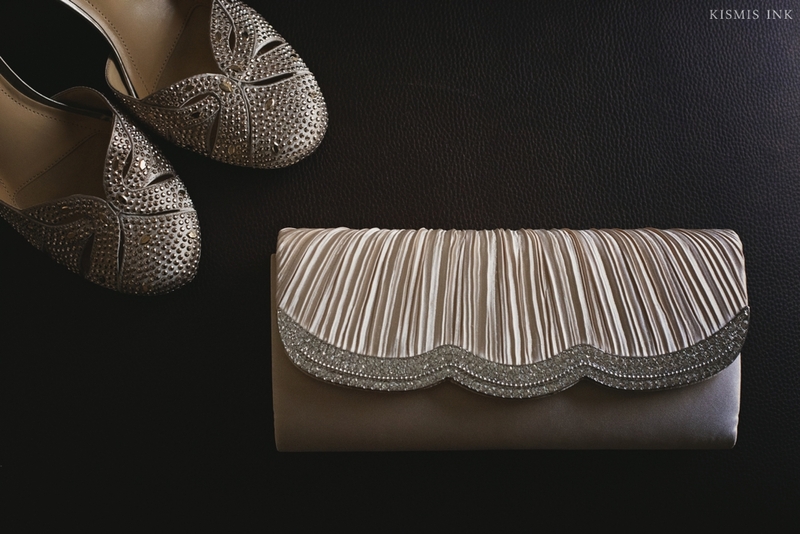 Allison and Jeff’s elegant celebration of their love included beautiful details in an intimate setting. 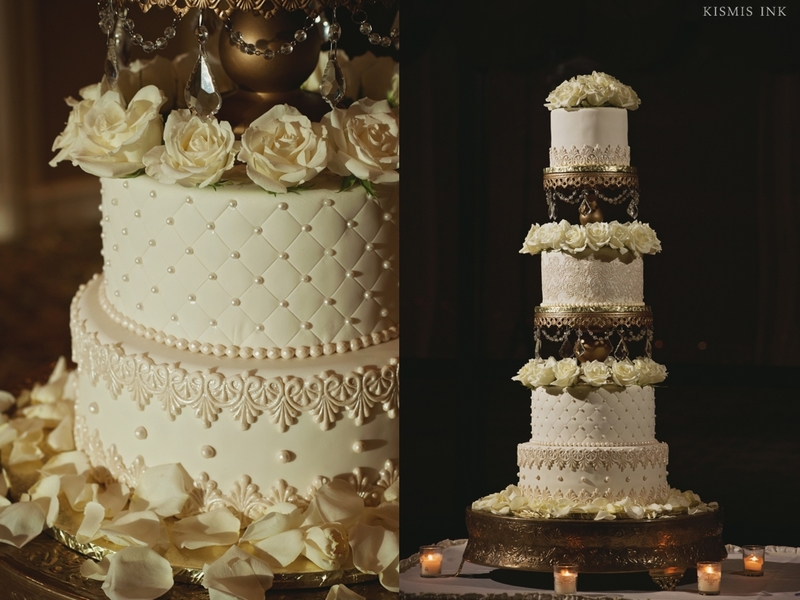 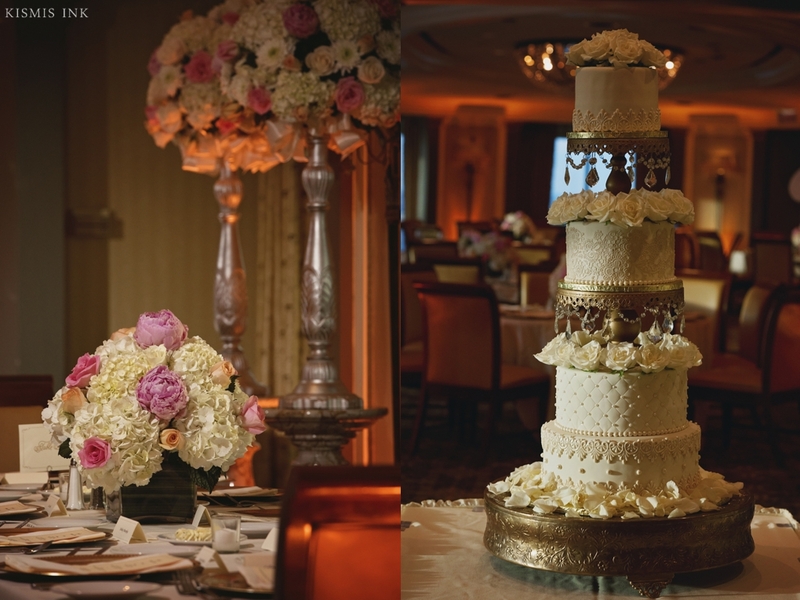 Their exquisite cake from The Cake Zone was breathtaking and their beautiful flowers from Artistic Flowers were the perfect accent to their lovely dinner. 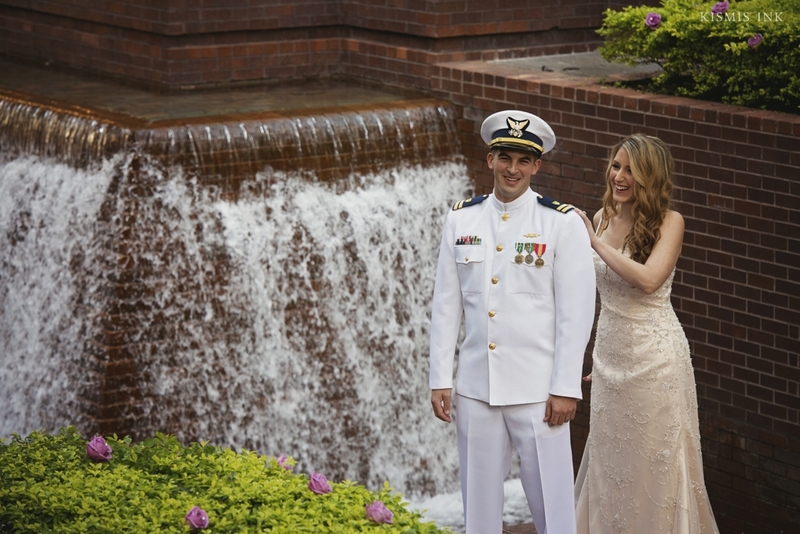 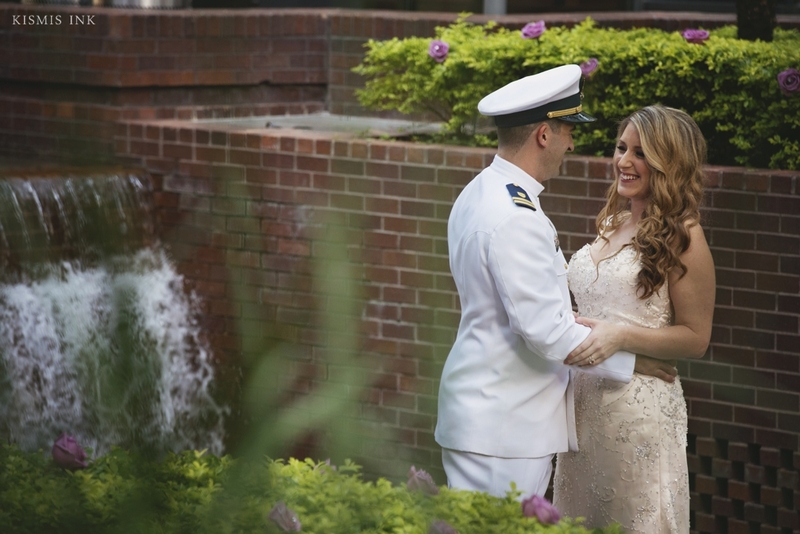 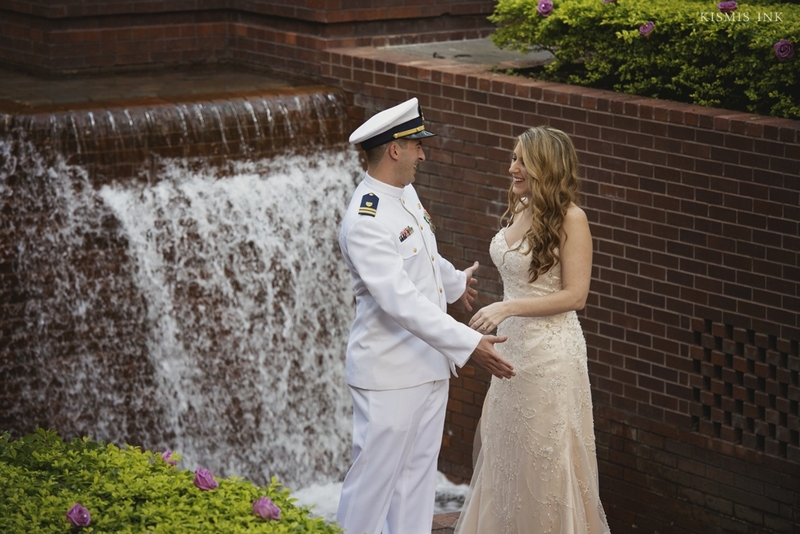 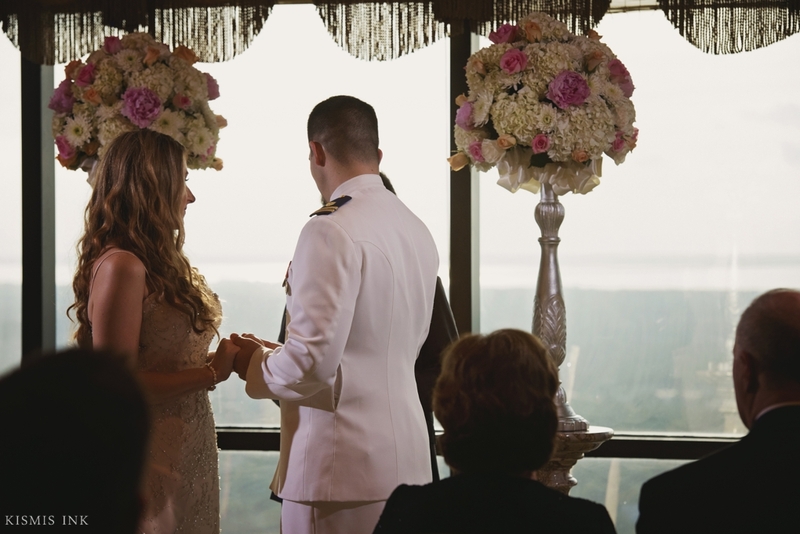 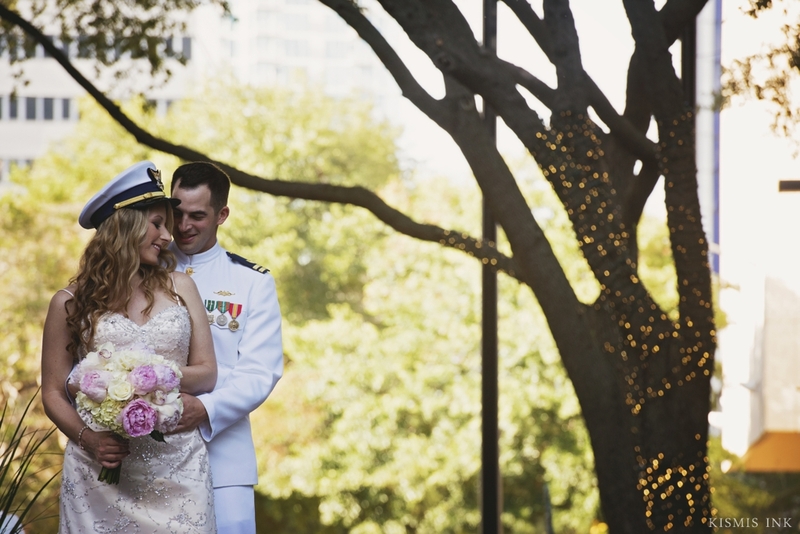 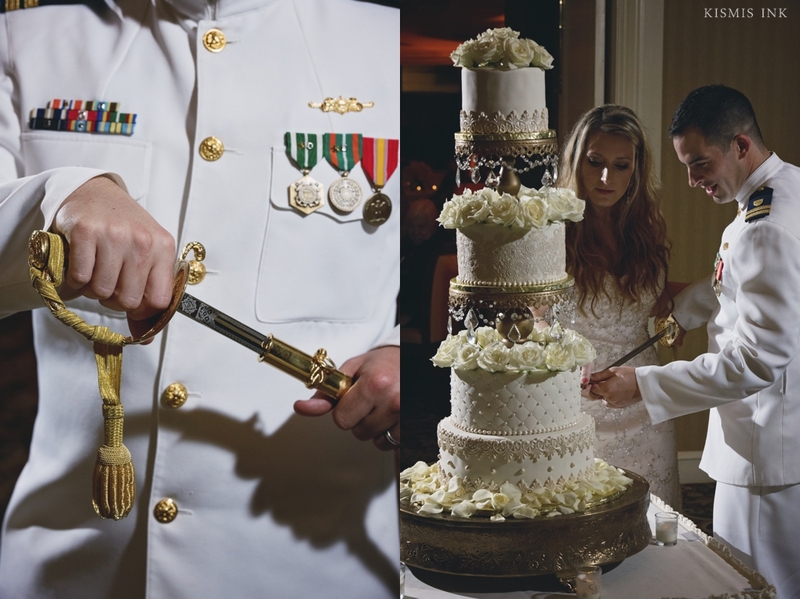 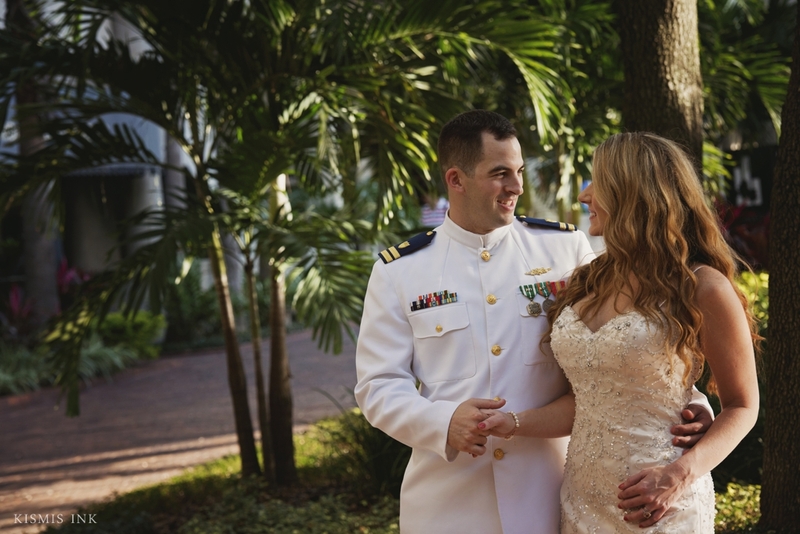 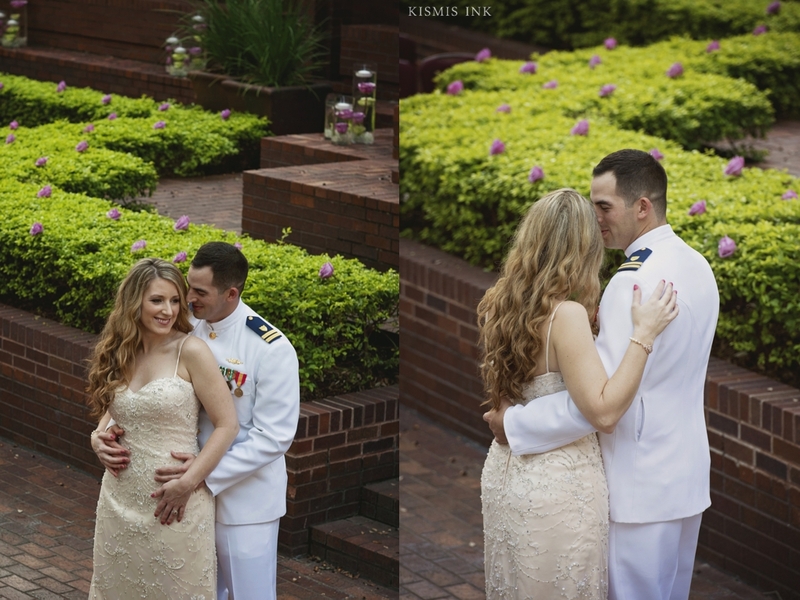 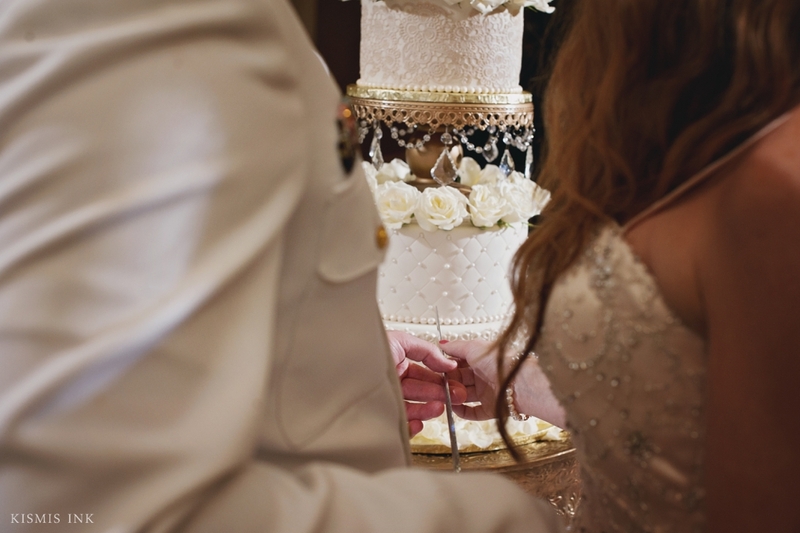 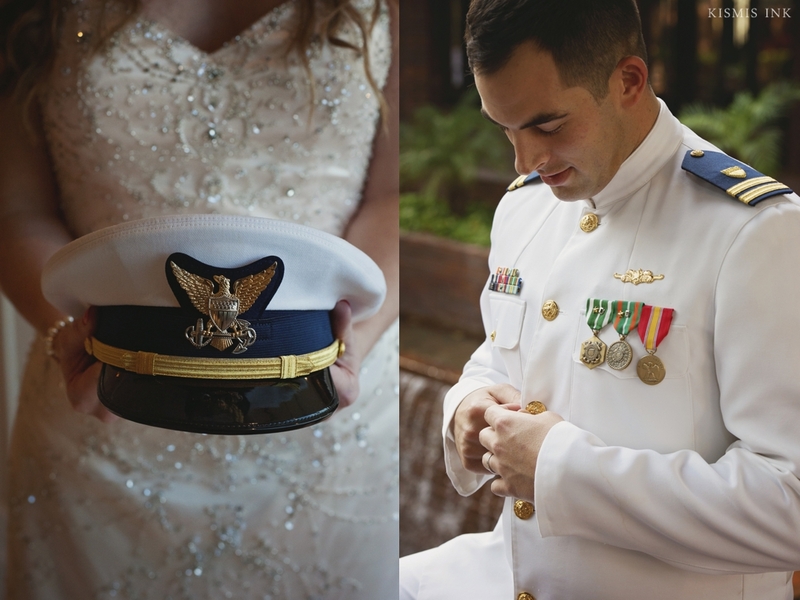 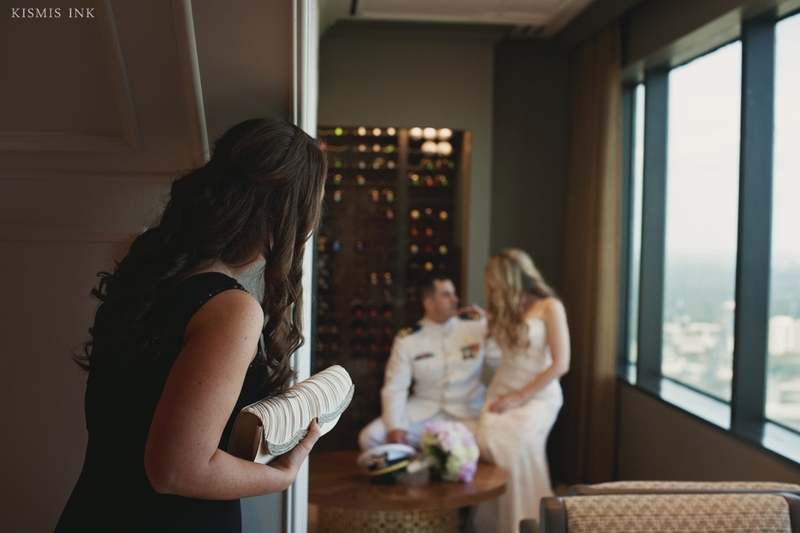 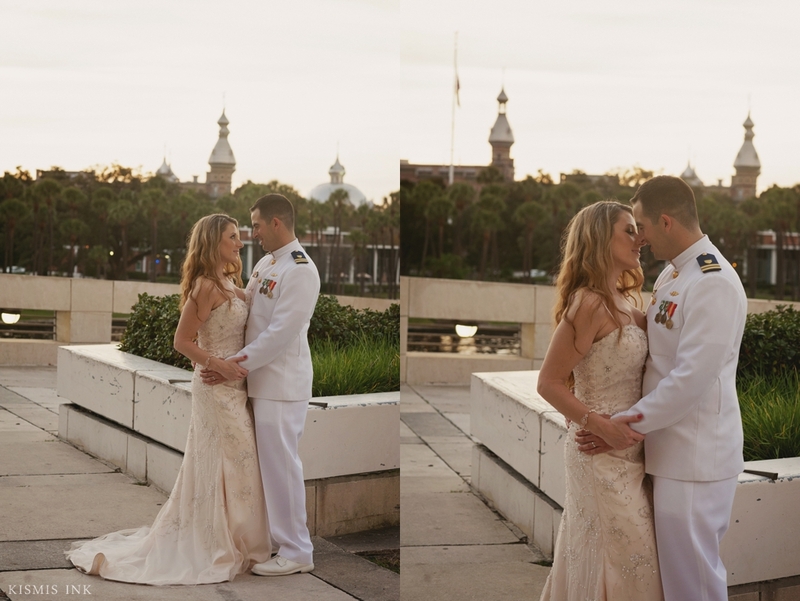 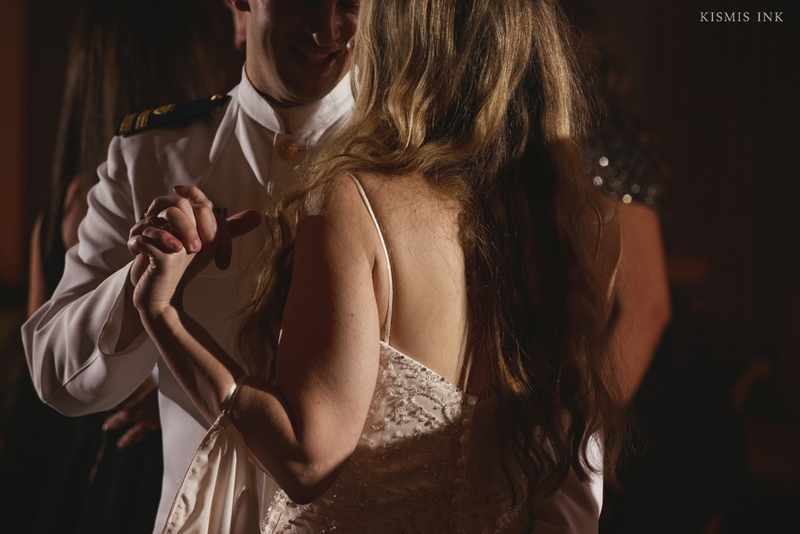 Allison looked ethereal in her champagne blush gown with rose gold details and Jeff looked striking in his Coast Guard dress whites. 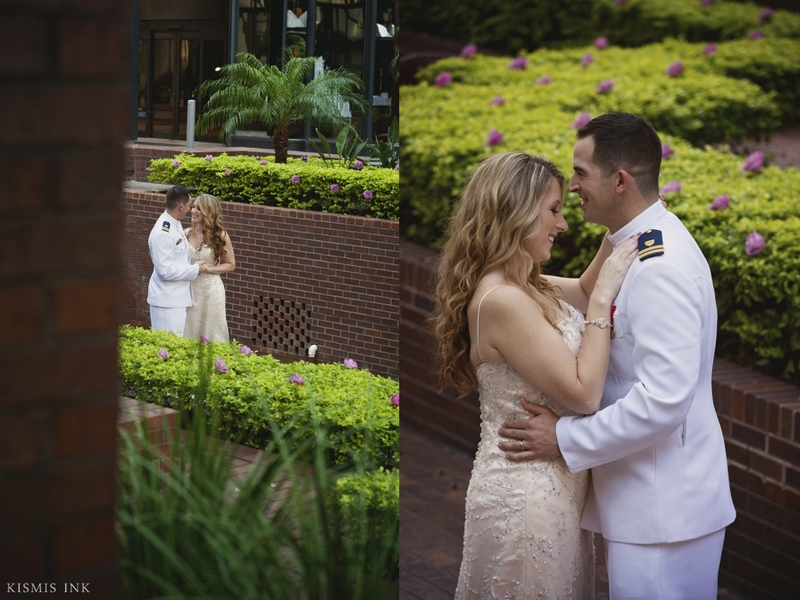 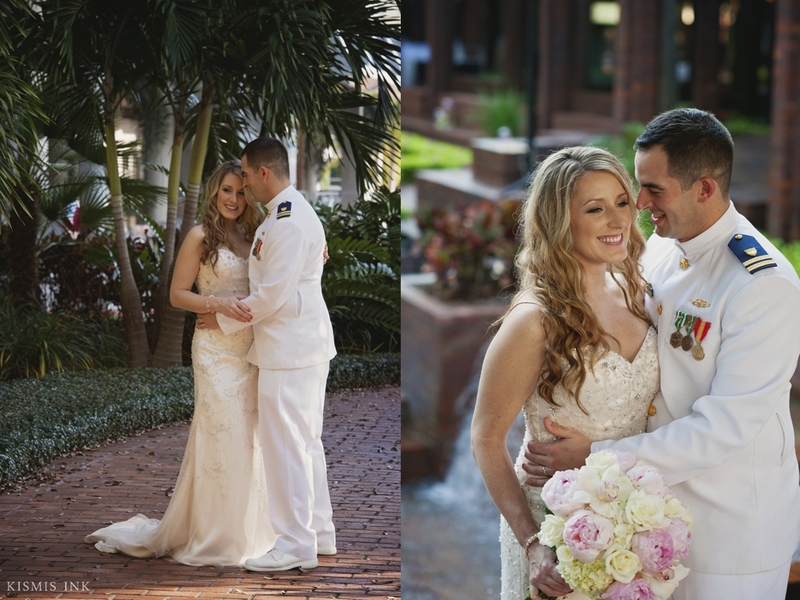 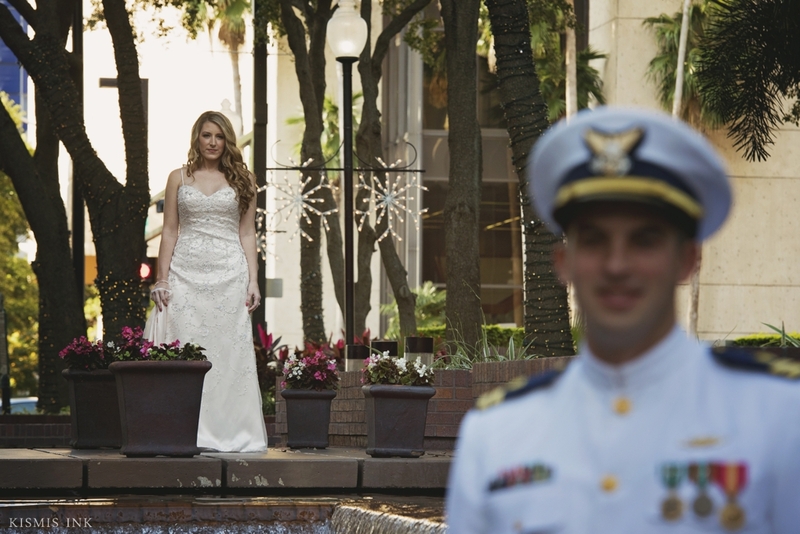 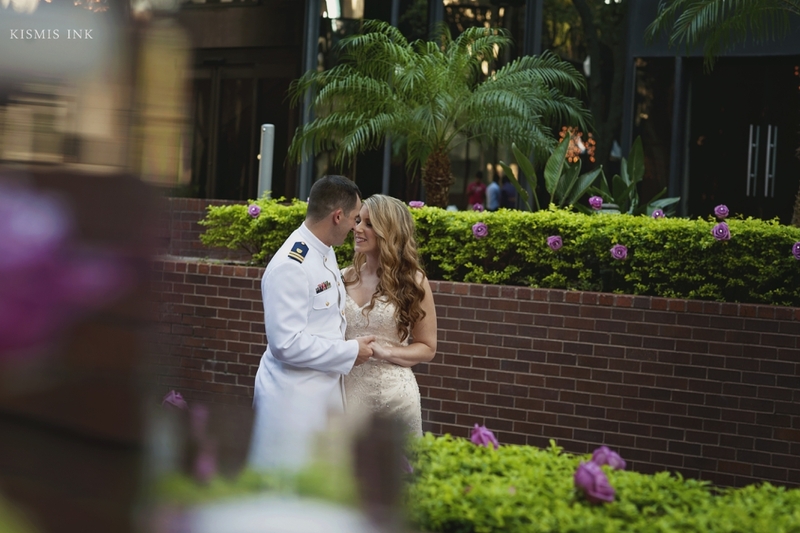 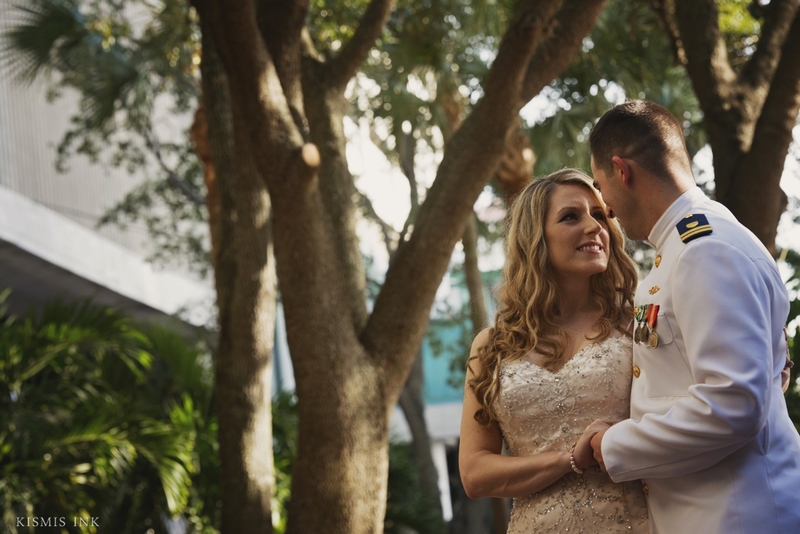 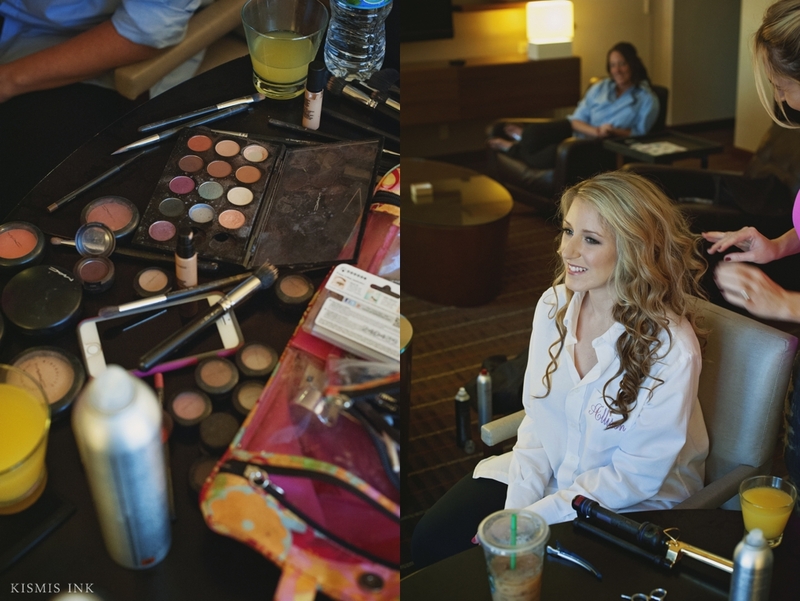 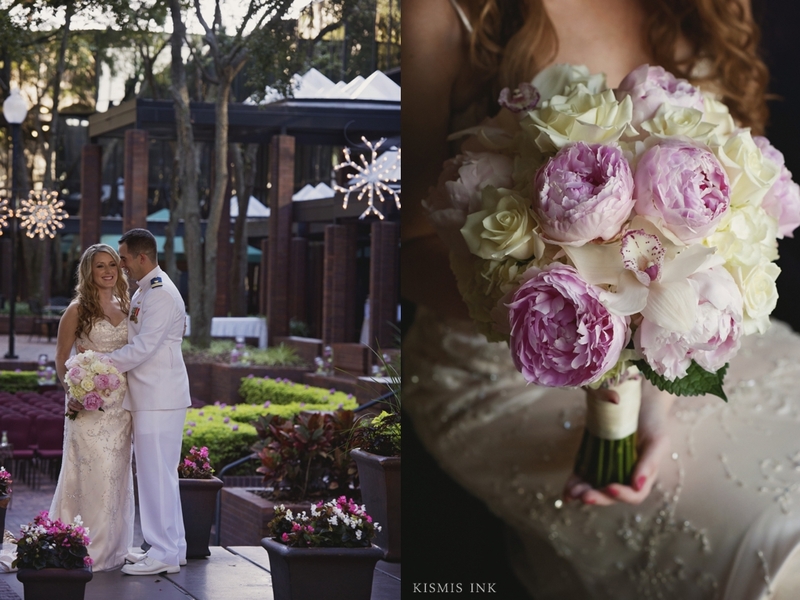 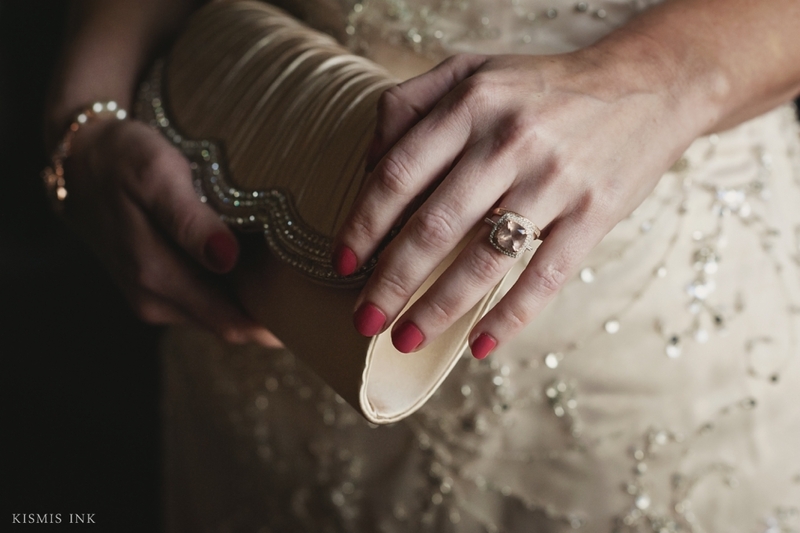 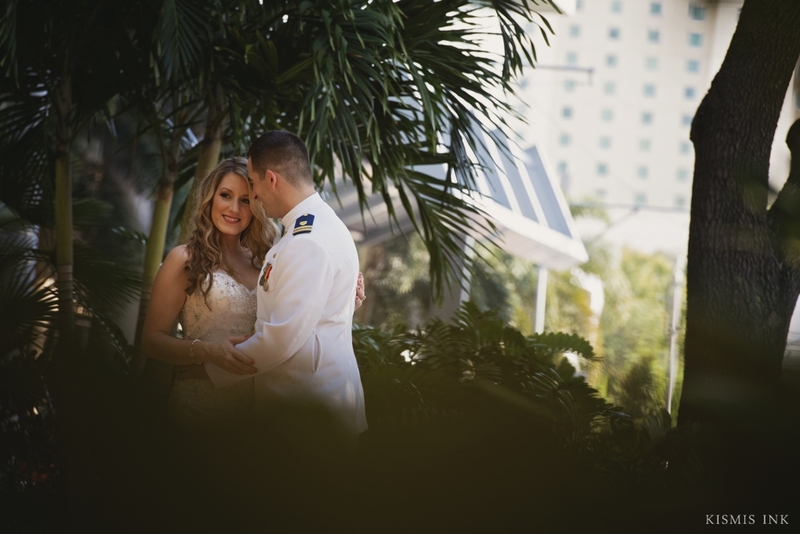 Their first look was set in the most picture- perfect setting in downtown Tampa. 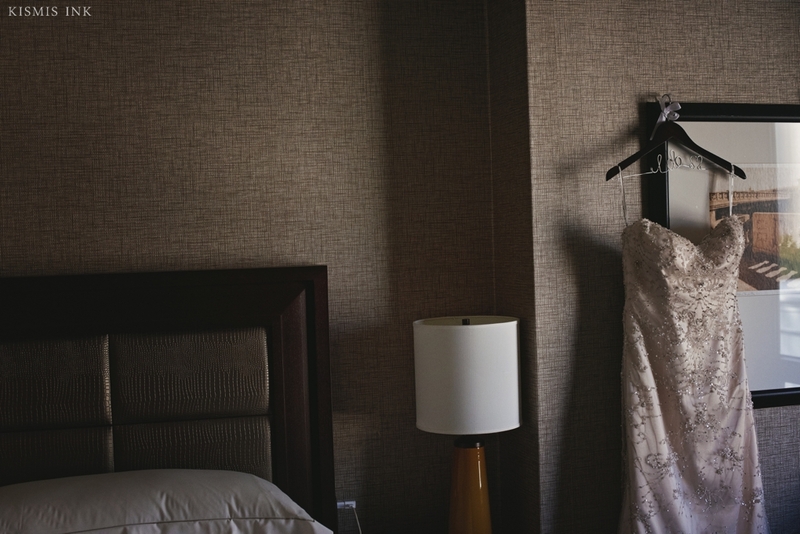 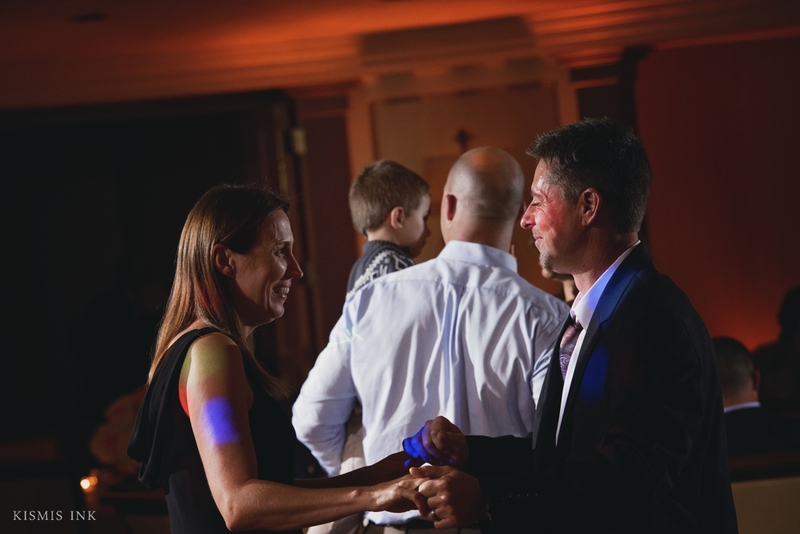 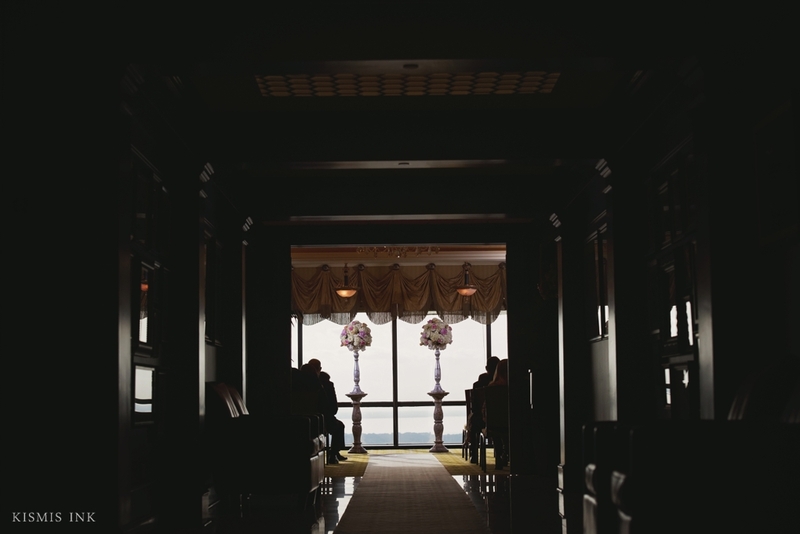 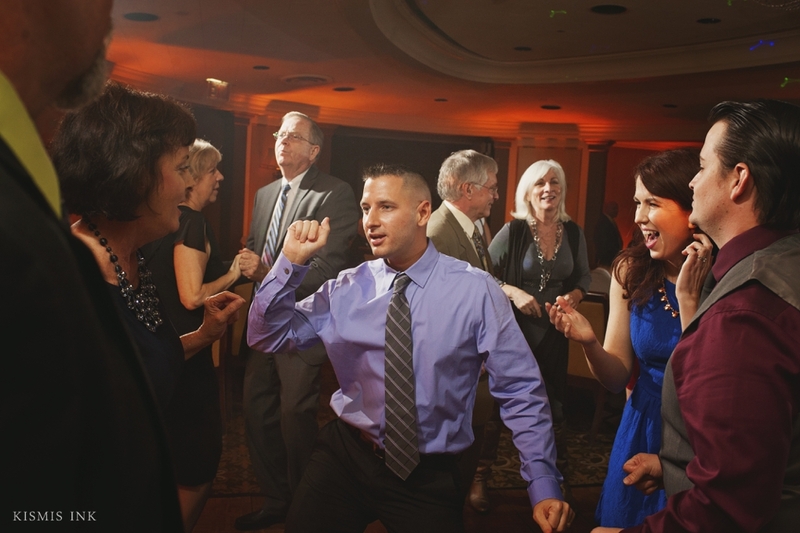 One of my favorite times during the wedding day is when the bride and groom set some time alone together. 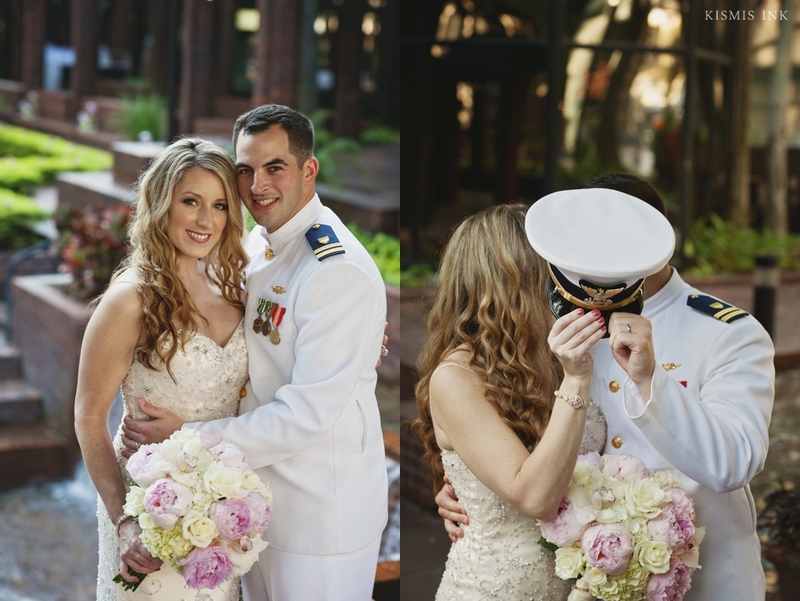 Their portraits together are unforgettable and bring out the genuine emotions of the couple.